During our junior year of college, Kelley and I lived in a little tiny green house just north of campus, near Hyde Park. We called it the Tom Green House, and along with four other roommates, we had a very soul-rich abode that favored coffee and coffee mugs, marathons of the OC, and year-round Christmas decorations. At the time, Kelley was not completely sold on the culinary school idea, though must of the roommates were definite encouragers. But occasionally, Kelley would create a lovely family dinner for us all. 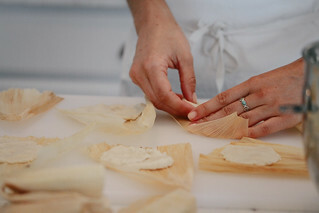 This is how I was introduced to Kelley's homemade tamales, and subsequently fell in love. It truly was a family dinner; everyone was given a task to help make the homemade tamales. Given my heart ties to Guatemala and Latin America, it was our best family dinner as well. Recently, Kelley made tamales again--three different varieties: one featuring venison, one with black beans and goat cheese, and one with chicken and....I don't quite recall, but I ate it and it was delicious. Soak the corn husks overnight, or throughout the day. 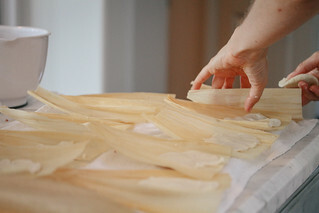 Then, thoroughly dry your corn husks in order to be able to effectively fold them. Make your own masa! Look online for a favorable masa recipe and once you have your masa (dough), make thin patties to place on top of the corn husk. Patties should be able 1/8 inch thick. Added the shredded pork or shredded chicken or the veggie mix to the middle of your masa patty. Mmm, these are gonna be good. And though labor intensive, just keep going and make a bunch. It will be well worth it! 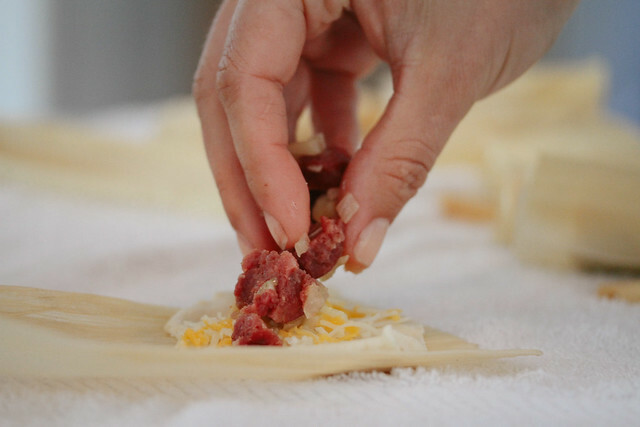 Next fold up your tamales, and use a strip of corn husk to tie 'em off. 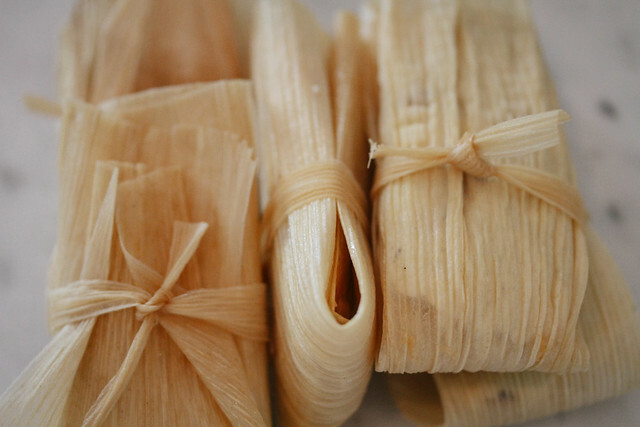 Finally, steam/cook your tamales for about 15-20 minutes. Monitor your corn husks as well and watch as they brown and cook. Enjoy! Open up a bottle of Topo Chico, make some accompanying guacamole and salsa, maybe find yourself a margarita. 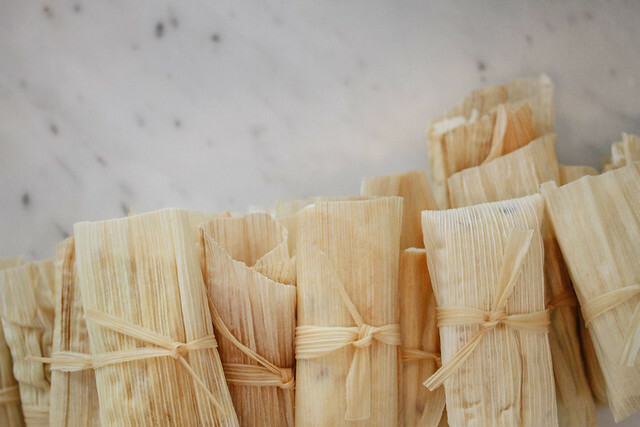 Homemade tamales will be muy delicioso.